From 22nd Jan,we change business hours. 1월22일부터 KOBE카페international 영업시간이 하기로 변경됩니다. 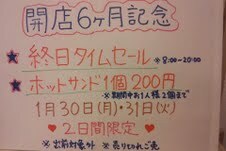 From January 2012,we change business hours. A happy new year.This year,We'll also do our best so that you may be glad to use us.Thank you. 새해를 축하드립니다.올해도 많은 분들께서 저희를 아껴주시고 이용 받을수 있도록 성심성의 열심히 하겠습니다.올해도 잘 부탁드립니다.